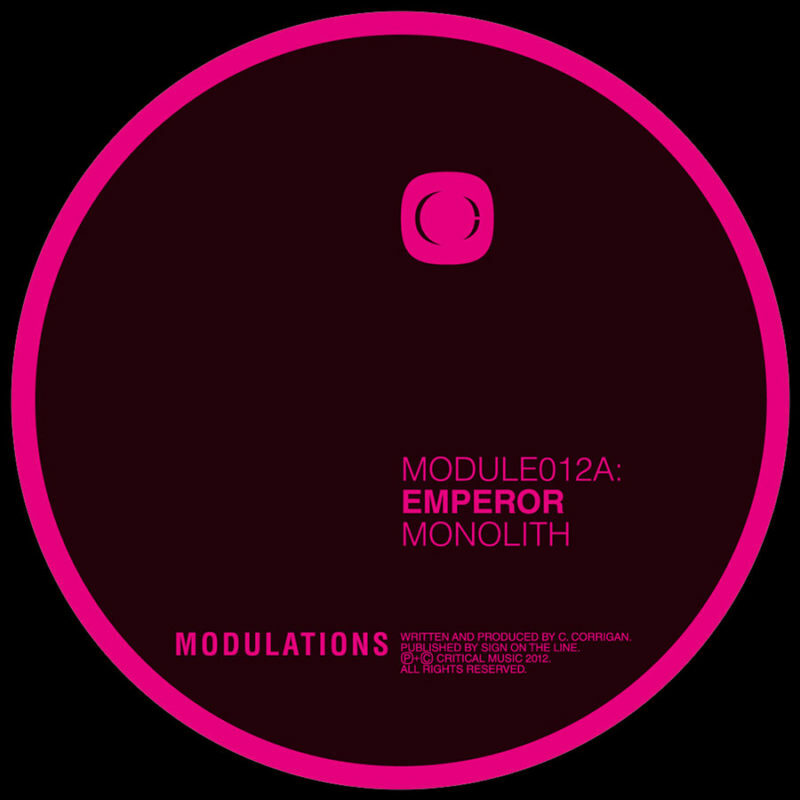 Absolutely tearing Drum & Bass coming from Modulations this month! Certainly the hardest piece to come on Critical’s sister label so far and from an artist that not many will have heard of yet…all that could be about to change though; all hail the new, Emperor. Someone call an ambulance….‘Monolith’ is too sick!! Dream inducing atmospherics introduce this one, lulling us as the break builds up from the back of the mix into a climatic drop of spine-shattering beats and the most horrid stabbing riff. Glorious, techy drum & bass that has seen Critical’s Fabric events going crazy over the past few months. Essential. ‘Tension’ then takes us further into the rabbit hole, intro’ing with more eerie pads and simple hi-hats paving the way. Then wait for it……and things kick almightily into gear for a fresh roll- out of dynamite b-lines and crunching drums that’ll have the stepping crew marching as one across the land. Original, up and coming talent straight from the Critical crew…..Emperor. DJ support from Andy C, Friction, Kasra, Cyantific, Wilkinson, Rockwell and many more.